This is Lenny. 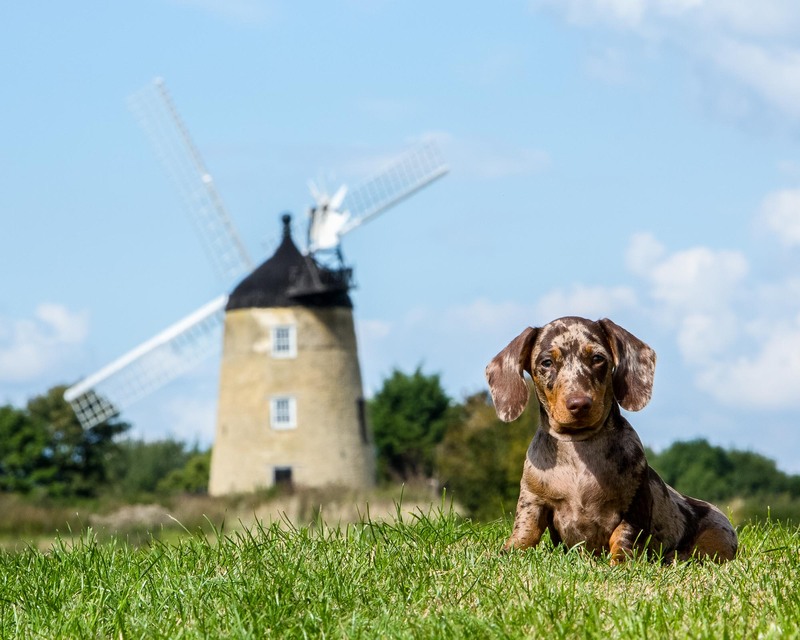 Lenny is a 12-week old Miniature Dapple Dachshund, and he started his adventure by coming to the studio on the outskirts of Thame, Oxfordshire for his very own Miniature Dachshund Portrait photo shoot. Upon arrival Lenny was just a little bundle of energy, bouncing around the studio, investigating every inch of the building and all the great smells that are present. We started the session by talking about Lenny with his owner, sussing out what portraits were the priority and letting him explore his surroundings. 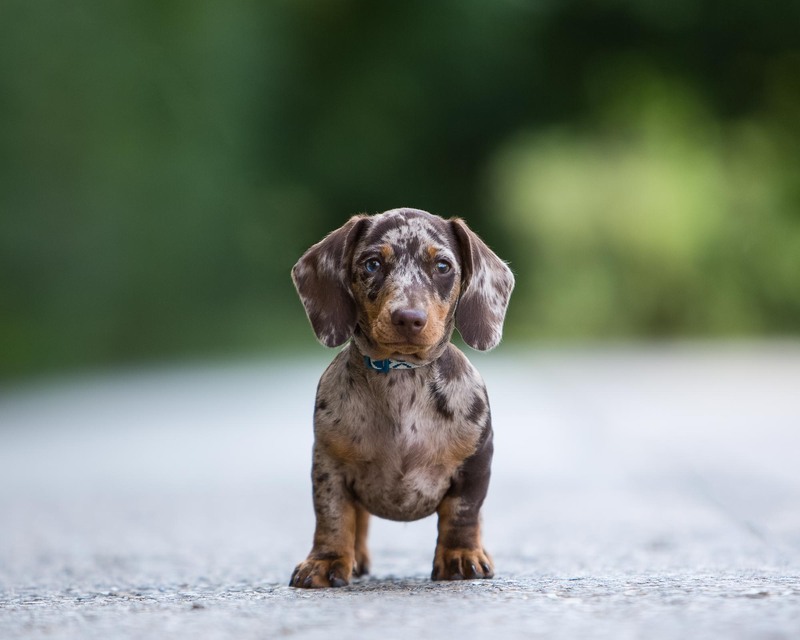 Once Lenny had gotten used to his surroundings and calmed down a little, we took Lenny into the studio for his Miniature Dachshund Portrait session. We took a range of photos using several different backgrounds. 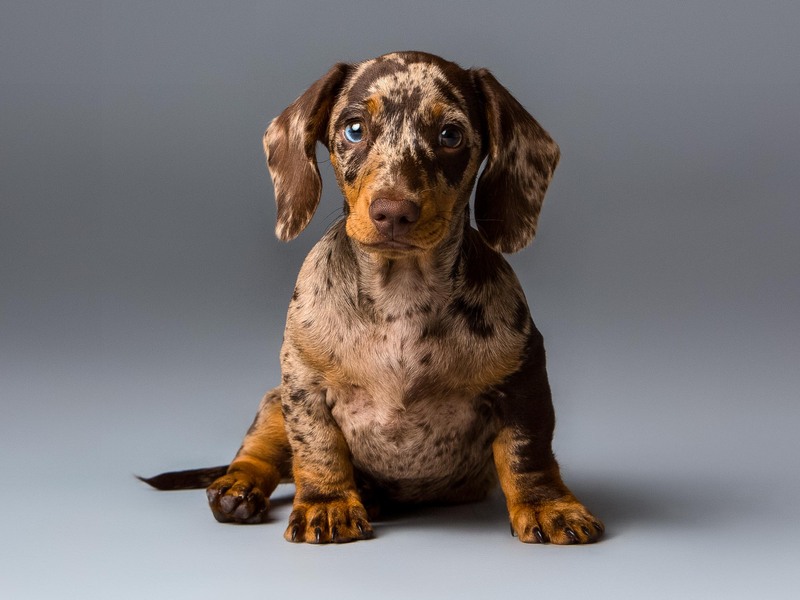 Our favourite though was the grey background, as it was the perfect colour that captured the innocent and cute, yet cheeky expression of a puppy. Looking outside, it was the perfect weather for a portrait shoot, so we ventured out to one of our favourite locations, the windmill. The blue sky was bright and the few clouds in the sky were scarce, the sun, shining brilliantly meant we only needed a thin coat (which is a rarity in England!). On the way to the windmill, we seized the opportunity to take a couple of photos with lots of greenery in the background, which is the image you can see at the top of this page. This perfect natural background showed how at home Lenny was when we were outside – like it was one of his favourite places to be. He stood and sat still, looking directly at the camera – he was a natural, and you could tell he was loving it (or maybe it was just the treats that kept coming)! When we arrived at the windmill it was apparent just how superb the location was. The playful yaps of agreement from Lenny confirmed that we had found the place for that very special shot. We took a few photos, using treats and toys to encourage the energetic bundle of energy to push that little bit more for the last fabulous photos of the Miniature Dachshund Portrait shoot. Trying to narrow down what our favourite part of the Miniature Dachshund Portrait portrait shoot was is extremely hard indeed. In fact its impossible pick just one! We loved how friendly both Lenny and his owners were, we loved how he behaved brilliantly in front of the camera, and we loved how Lenny just never seemed to get bored. It was such a great pleasure to photograph such a wonderful little puppy and we loved meeting him! If you would like a dog portrait experience you can find out more here or buy a portrait experience voucher here.